This contemporary bar table is a sleek option for your living room or dining room. The unit includes a unique shape with an arch shape to the table top and shelves. This contemporary bar table is a sleek option for your living room or dining room. The unit includes a unique shape with an arch shape to the table top and shelves. A center glass shelf complements the white color, and chrome color accents on the railing, feet, and support road. 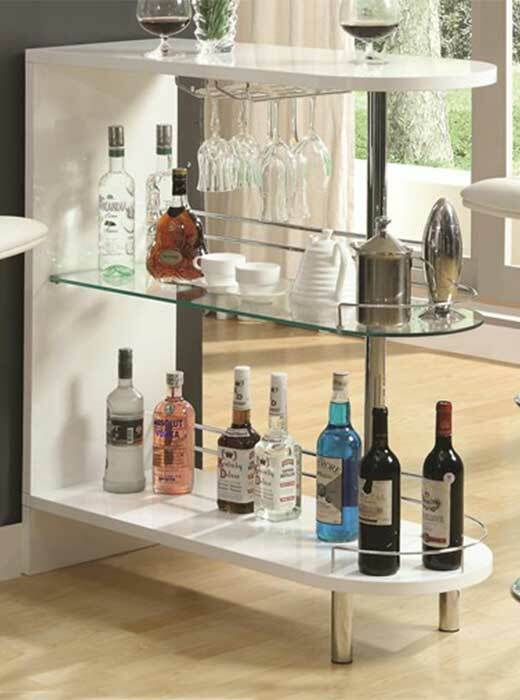 Stemware storage where you can hang wine glasses adds to the sophisticated style of this bar unit. 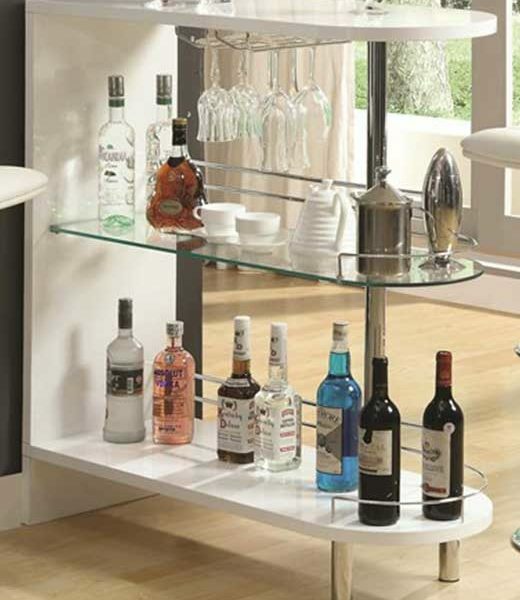 Add a bar unit or bar table to your gathering and entertainment room, and you will be the life of the party. Host gatherings of all sizes. Choose the right style and size to meet your needs and keep your guests happy.